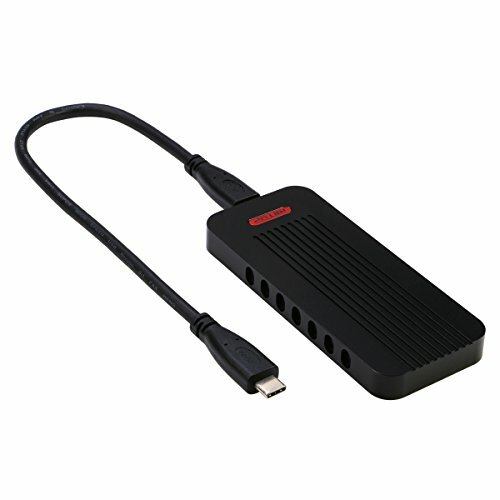 Specifications: Item: USB 3.1 TYPE-C NVMe SSD Enclosure. Size: 107*46*10mm. Material: Aluminum. Protocol: NVMe. Connector: USB TYPE-C 3.1. High Speed: 10Gbps. Support: 3D Game, 4K video ,HIFI Music, RAM Picture ect. Aluminum Case with a vented Design on both sides, will strengthen the effect of heat dissipation to protect your NVMe SSD well. And the LED indicators will transmit via vents when work. ★★ Note: NOT Support CLONE! NOT Support backup SSD with OS inside...DO NOT support PCI-e M Key AHCI SSD, SATA based B+M key or B Key SSD, Please check with the picture.